It’s the busiest travel season of the year, and what better gift would there be for individuals who are constantly on the go? Reward your dedicated donors with a personalized piece of high-quality luggage they can proudly tote around while representing your organization. 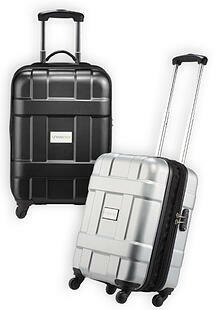 They will love gliding their suitcase on four wheels, which makes traveling way easier! If your organization has great pictures from a certain event or fundraiser, you can gift a personalized thermal mug with the image of your choice right on it! It’s a thoughtful way to solidify that moment in history forever. To make it extra-festive, fill it with holiday candy or coffee samples and wrap with clear cellophane. They’ll think of your charity whenever they take a sip! They’ll be writing you a thank-you note with these beautiful stylus pens, which can be personalized with your logo or name of your charitable organization. 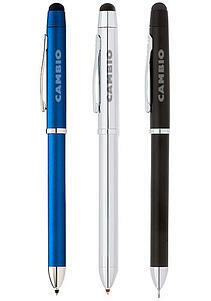 High-quality pens are excellent gifts during the holidays, as they’re constantly used on a daily basis. The stylus pen is a nice way to show appreciation for those who have given to your organization and will be reminded of it whenever they sit down to use it. 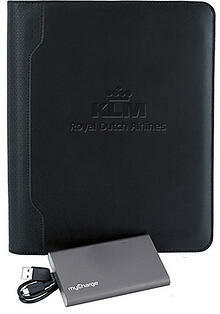 A beautiful leather portfolio will take your donors a long way during meetings and at work! This year, gift them with a personalized leather portfolio that represents the important group they belong to. Its smooth leather and professional presentation will certainly show members that you appreciate their generosity and hard work for your cause! The portfolio can be gifted with the pen (above) for an excellent bundle idea for the holidays! Thank the members of your organization with a substantial reminder of their year-round dedication in the form of personalized glass awards. Their stunning structure sits proudly on a shelf or desk and helps market your charitable organization with high-quality engraving that displays your logo and their name. You can distinguish certain members for various accomplishments to your organization. Watch their faces light up as you deliver their reward for their unique services to your community. 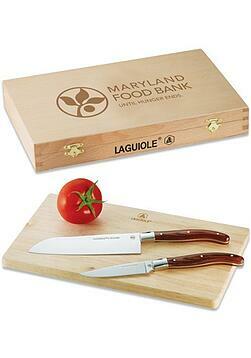 Enhance the holiday cooking experience of your donors with beautifully personalized cutting boards. At this special time of the year, much of our time is spent in the kitchen with friends and family. Your dedicated organization members will love being rewarded with a cutting board the represents a cause they believe in. It has the potential to spark conversation among those they share your meals with and will last for years to come! The holidays are a time to take a break and celebrate with a glass of wine. Say cheers to this wine valet, a customizable bag for precious wine bottles that your donors will absolutely love to use! They can celebrate the holidays without a worry using their very own wine carrier that represents a cause they are dedicated to. It’s a thoughtful way to say thank-you, and there’s no doubt your organization members will be proud to tote it around. Dress up the gift as a whole by gifting a bottle of wine with the entire presentation. 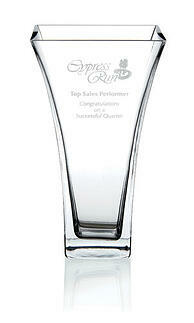 A kind way to show appreciation this season is to give the gift of a personalized glass vase. Laser engraved with your logo or a personal message, this vase looks beautiful on any desk space or table, especially in the sunlight. While filling them flowers makes a stunning presentation for the holidays, vases can be turned into a beautiful gift with a different kind of filling of your choice – such as candy, red and green confetti, a personal note or gift certificate. Picture frames are a thoughtful gift during the holiday season, but really wow your donors with a unique digital version. Made of aluminum, this frame has an impressive presentation and can be gifted by pre-loading them with your very own digital images. 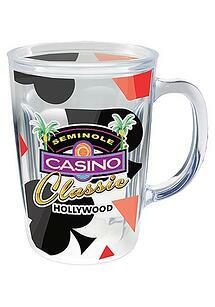 It’s completely customizable with your logo and is a perfect way to promote your organization. 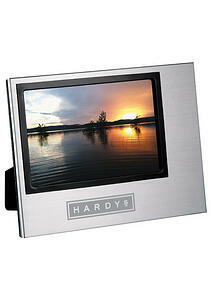 With the recent proliferation of digital photography, this special picture frame will go a long way this season! The gift of tuning out is seriously underestimated during the holiday season - especially when traveling! A set of personalized headphones could be a way to show donors your appreciation this season. 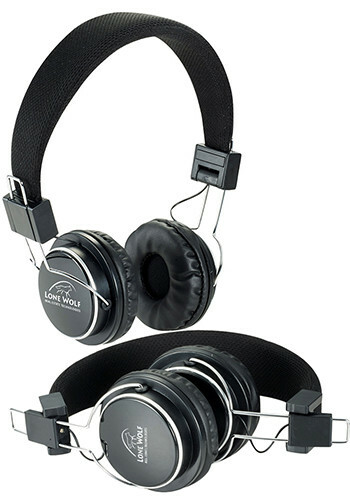 They can be customized with your logo or message and feature luxurious padded earpieces. 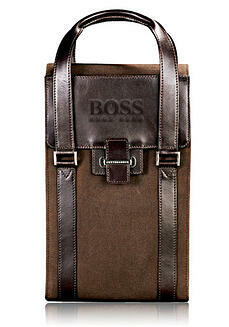 A thoughtful way to gift this item would be to include a voucher to purchase music or audiobooks. 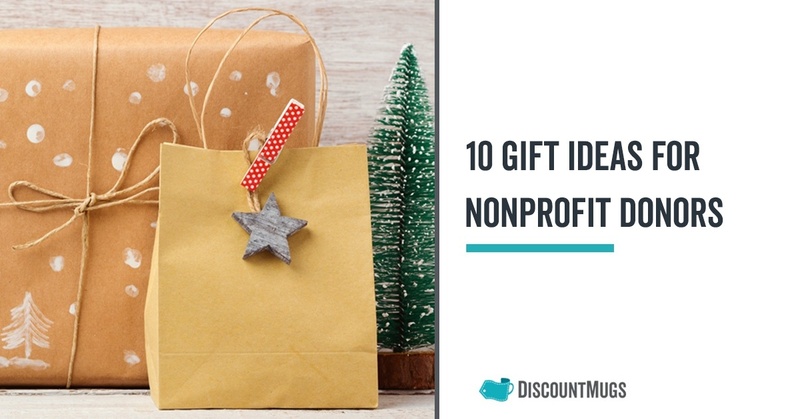 Share this amazing gift ideas with someone you think can benefit from them. Let us know in the comment section below about your holiday events, and how you plan to thank your nonprofit or charity donors for their efforts this year!